I love updating the rooms in my home - breathing new life into stale spaces, and take pride in making my home an interesting to look at and inviting space. 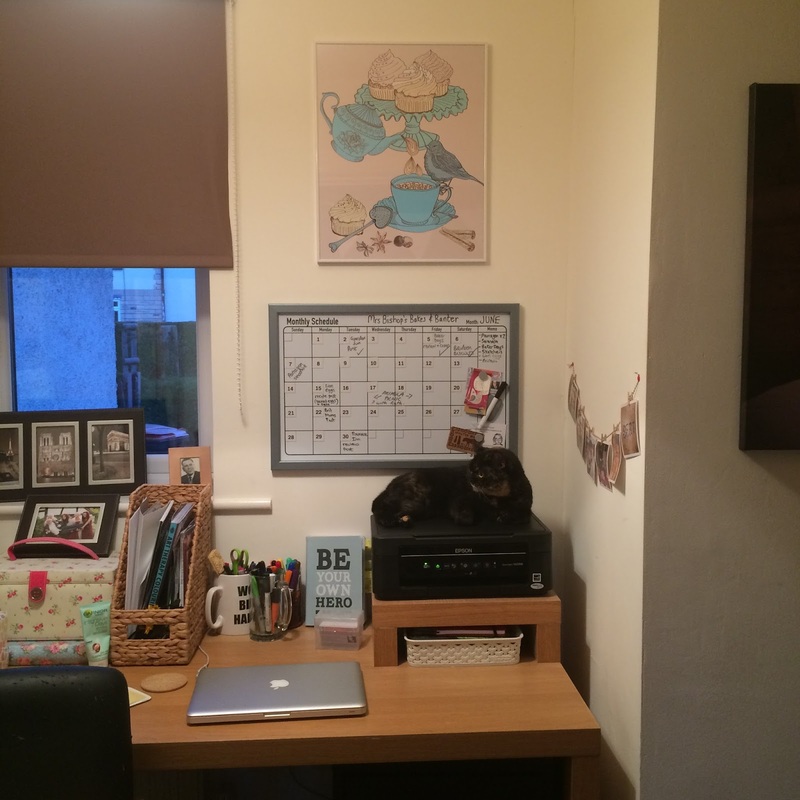 When My Loview invited me to review a framed picture from their brilliant range of wall art, posters and prints, I found the perfect picture to update my blogging space/study. Realistically, it is one of the rooms of the house that I spend the most time in (bar the kitchen, of course) I blog in the study, work in the study (social media consultancy), and relax in the study when I'm having a little burst of social media or competition entering! 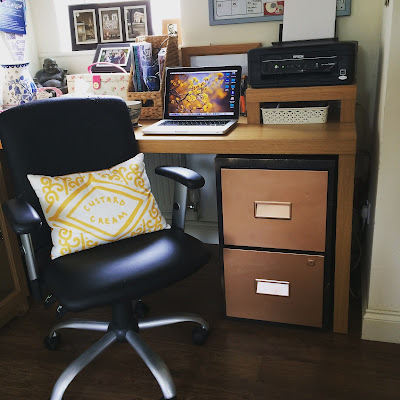 The amount of time spent in there working, or blogging means that I want it to be a relaxing, fun and inspiring space - which also needs to be functional. I am a pretty well-organised person when it comes to my work and blog, and so the room is filled with things to aid my organisation: a big filing cabinet (which I recently spray painted copper! ), an 'in tray' for keeping current paperwork somewhere, and a huge wipeable white board monthly planner, which I use to plan out my blog posts. 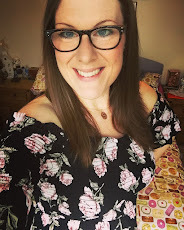 As well as the functional, I wanted the room to be pretty and fun - to reflect the quirkiness in my tastes, and to communicate my passions (mainly cake & biscuits! ha!) - so I chose this beautiful piece of artwork to add to the wall above my desk, sitting just above the monthly planner. I loved the simple bold line illustration of this artwork twinned with the gorgeous pastel pink, blue and green colours used. 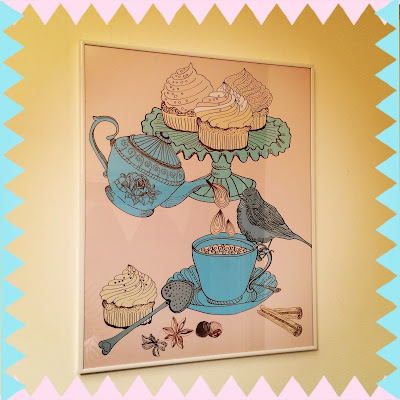 The subject matter of this piece couldn't really be more 'me' if it tried - tea, cakes, pretty china and birds! That's pretty much all my favourite things in one image. It's a lovely big print, making it a focal point of the study, and it definitely helps to take away the functionality (boring-ness) of the planner board below it. The cat likes to sleep on the printer, as you do. The print came framed and ready to hang, so hubby got to work using his DIY skills and had it on the wall in a jiffy. I am super pleased with it, and would definitely recommend the My Loview website - it was easy to navigate, and there are hundreds of brilliant posters and prints to choose from. You can choose to have your poster framed or unframed, and their are various colour options for the frames, so there really is something to suit any taste. A functional but pretty space - my blogging nook complete with My Loview framed print and Nikki McWilliams Custard Cream cushion and biscuit bunting. Why don'y you head over to the My Loview website and social media channels to browse their awesome ranges - there really is something for everyone from latex wall murals to posters and prints on every topic: popular culture, landscapes, food/drink, nature, music, photography, typography, children's designs, illustration - you name your topic and I'm sure they'll have something beautiful and affordable to adorn your walls! Disclaimer: I was sent the above framed print for the purpose of this review - however, all images, word and opinions are my own, and I chose the image myself from the ranges available at myloview. This is an unprecedented article, Given such a great deal of information in it, Thanks for the great information you have provided! I am hoping the same best work from you in the future as well. 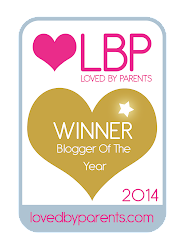 BritMums Live 2015 - I Was There!